Come and see the Amazing views this Condo has to offer. Third floor unit has access to your large private balcony with spectacular views of the inlet. French doors open up from the living and master bedroom. This Privately Owned Condo Community is only 1 block away from Beautiful Daytona Beach. On the inlet with amazing views and private access to the dock. 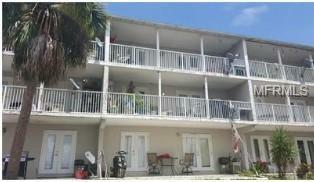 Come see this fully tiled 2 bedroom 2 bath updated condo. Community fishing dock, social room, laundry on site.